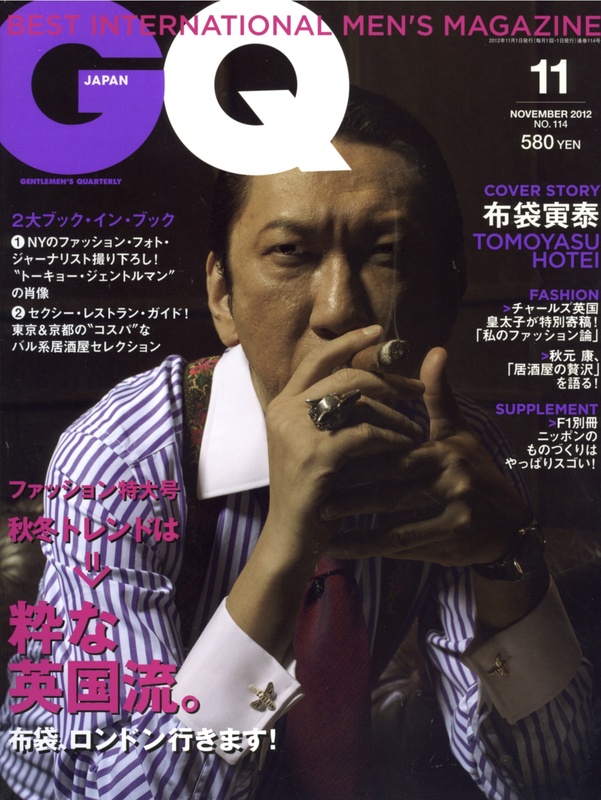 A piece on Breanish Tweed in GQ Japan, and a mention from the great Mr Kurino at United Arrows. 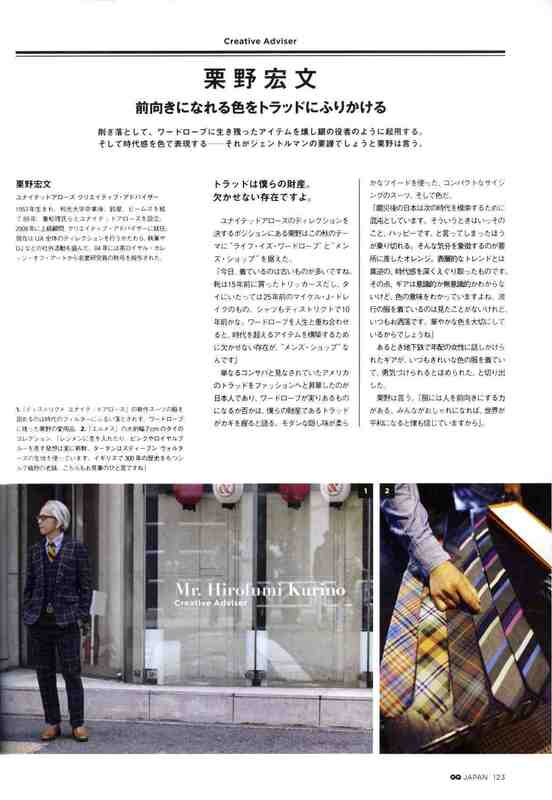 Hirofumi Kurino : Managing Director, Creative Advisor, United Arrows Ltd. Since the Great East Japan Earthquake last year, I’ve been wondering what really constitutes a luxury, and thinking the criteria may have changed. I suspect a luxury may not be something famous or something new, but something whose creation involved considerable human labour. The suit I am wearing now is this Autumn/winter’s three-piece from District. I had them weave a lightweight Breanish Tweed cloth from the Outer Hebrrides, and had the suit made in Japan. The fabric has the simplicity and freshness that is unique to hand weaving. When I ordered it last year, I asked Iain, who is in charge of design, to make it the colour of the sea, so he created a fabric in the colours of the sea as he saw it, deep blue plus green and light blue. I heard that the shoe designer, Manolo Blahnik had a Breanish Tweed suit custom made through a tailor in Savile Row. This means that something made on an island where only 2,000 people live was delivered to a man who understands the essential qualities of things. Scottish brands such as the beautifully coloured tartans of Lochcarron, Johnstons who modernised cashmere, and Harris Tweed all involve human labour and touch the heart because, in a good sense, they are imperfect. Right now, they may be close to the things I like best.